Alverstone is a friendly, family run B&B, close to the town and beach. 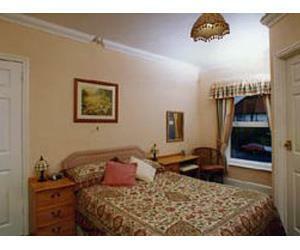 Clean, comfortable rooms are tastefully furnished and decorated. Central heating, widescreen TVs, beverage tray, hairdryers, radio/clock alarm, towelling robes and mini coolers. Vegetarian/full English breakfasts. No smoking or pets. Open all year except Christmas and New Year. Beeston Bump is just up the road with great views of Sheringham. Coastal path nearby. Children welcome from any age. As you come into Sheringham you come to a roundabout. Turn right towards Cromer, along main road. When you get to playing field, turn left down Beeston Road, go under railway bridge, The Avenue is the second turn on the right. 33 The Avenue is opposite the telephone box.